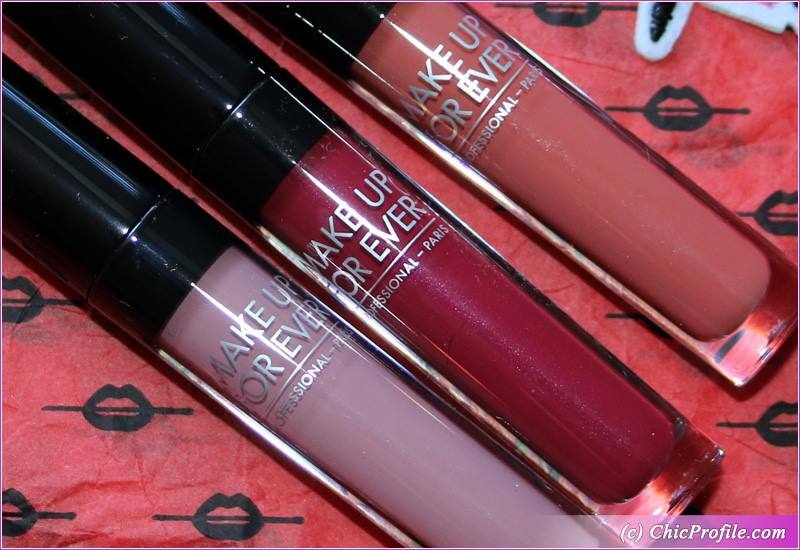 I’m pretty sure you are familiar by now with Make Up For Ever Artist Liquid Matte lipsticks. They are not a new launch but they are definitely new for me as I got to try them only earlier this year. 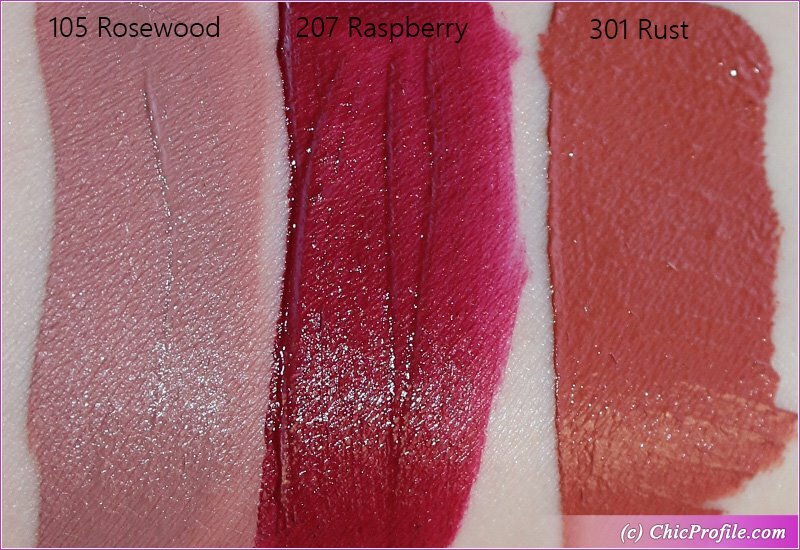 I’ll be reviewing three shades for you today, Rosewood, Raspberry and Rust. 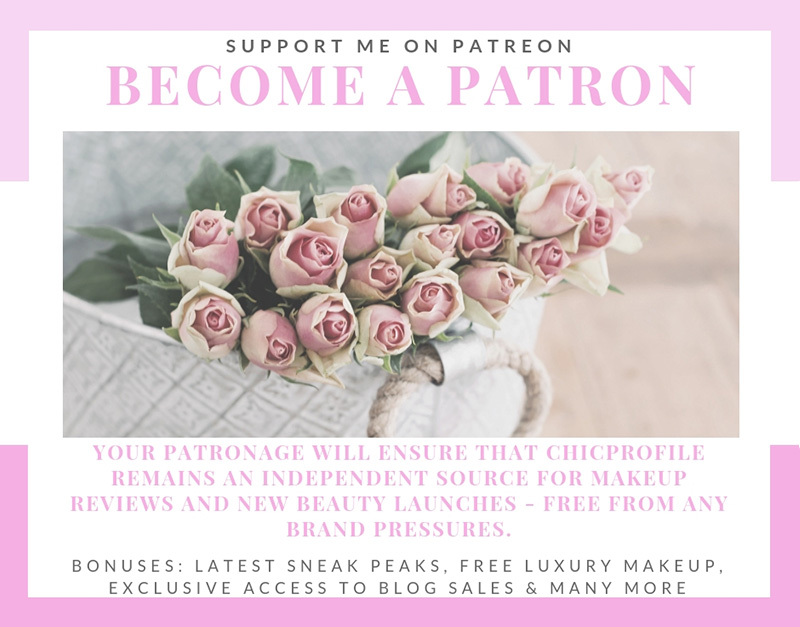 I’m a fan of Make Up For Ever products as this was one of the first professional makeup brands I like to shop from when I started in beauty. 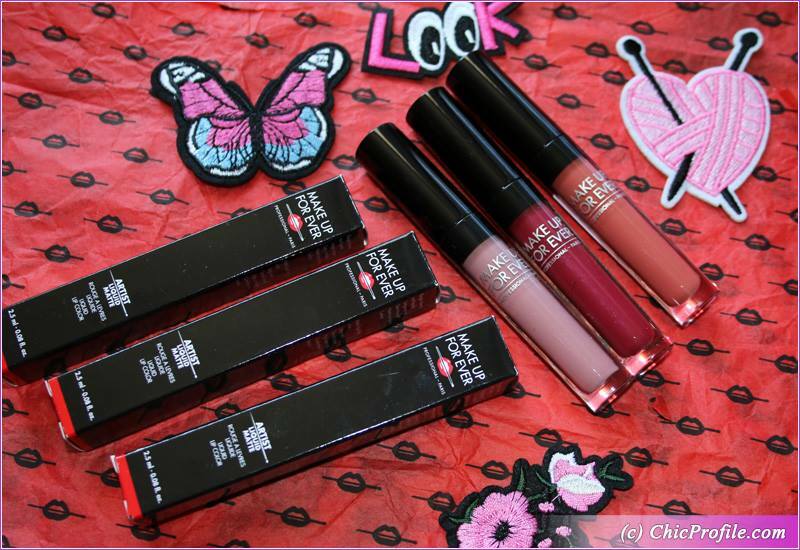 Their lipsticks (and not only) are absolutely fantastic but let’s see how the liquid matte ones perform. 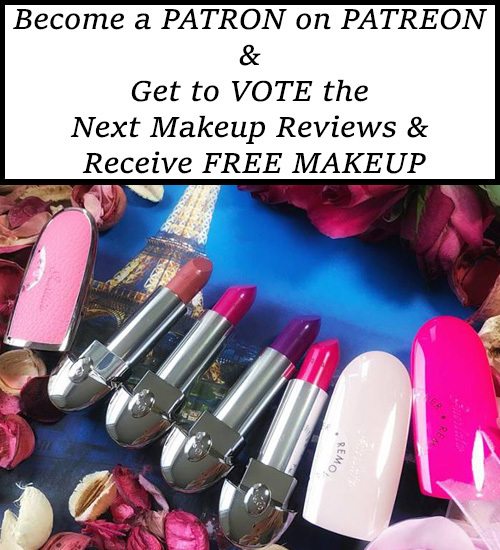 Make Up For Ever Artist Liquid Matte Lipstick ($20.00 / £17.50 / €21.00 for 2.5 ml / 0.08 fl oz) is an ultra-matte liquid lipstick with insane color payoff and crazy long wear. It comes available in a total or 21 shades. The colors are super intense, highly pigmented and dry down to this truly matte finish. The formula boasts beeswax for long-lasting wear and avocado oil for soft, nourished lips. I was really impressed to noticed that I don’t feel that uncomfortable drying sensation throughout the wear. For me they don’t feel that nourishing but not dry either. It’s a comfortable feel and a formula that I would choose anytime. You know I’m not a huge matte of a matte lip color so the formula must be really good in order to wear a shade more than ones. The packaging is pretty basic, a transparent plastic tube with a black cap and doe-footed applicator. The applicator is doing a great job, picking up the perfect amount of product for a single application. The formula of this ones is very thin but spreads on easily without any streaks. Again I was amazed by how thin and super comfortable the texture felt. I got that feeling of bare lips which felt amazing. 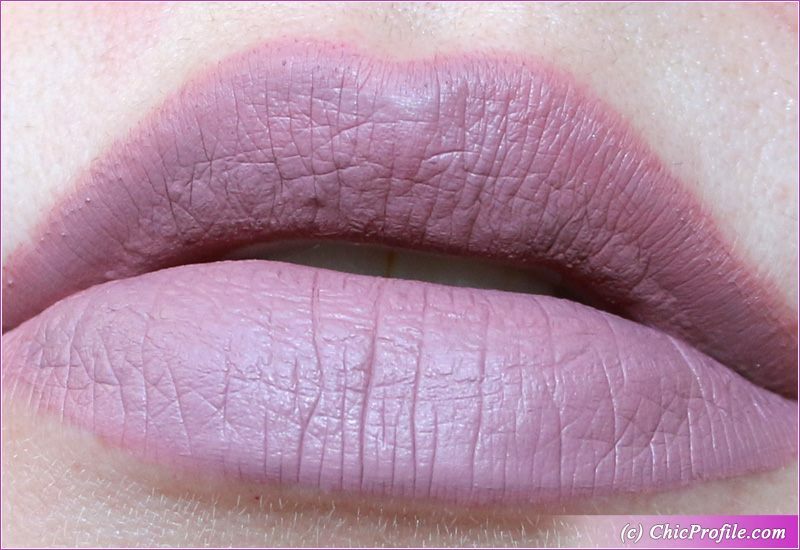 Is hard for me to believe that a matte liquid lipstick can feel so light. Then again I had the same sensation with Giorgio Armani Lip Magnets. I do want to mention that all the liquid lipsticks have a heavily scented formula. For me it was OK but since it’s easily detectable can be uncomfortable for some. Also one of the downsizes will be the small quantity of product that you get. At first look the packaging doesn’t seem so small or the tube very thin but you really not getting to much product. If you wear one of these shades on a daily basis I would say you will finish it in less than 2 months. 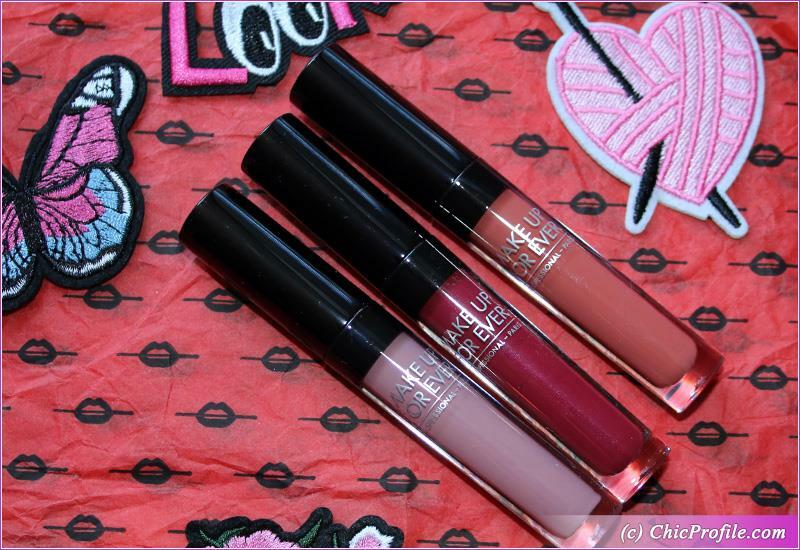 Now I’m ready to talk more “trash” about Rosewood, Raspberry and Rust Artist Liquid Matte lipsticks. Let’s start the color breakdown for Artist Liquid Matte lipsticks and see how well they perform. Make Up For Ever Rosewood (105) Artist Liquid Matte is a muted, medium mauve-taupe with neutral undertones an a matte finish. The color pigmentation is insane. It’s super rich and applies to a full coverage in a single swipe. You’ll get that burst of color in just seconds. The formula felt really thin as I mention before but it applied effortlessly nonetheless. Even though it is a matte finish, it didn’t dry down so fast and it allowed me to work it around the edges of the lips. 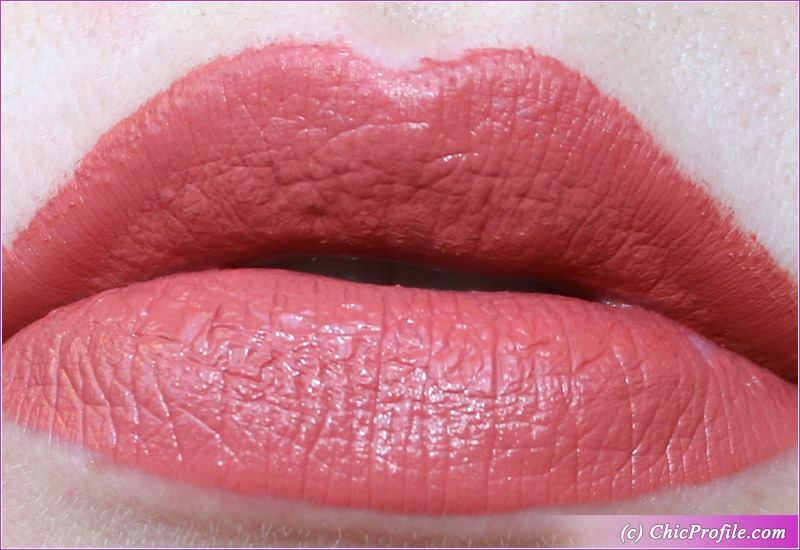 Also it doesn’t look streaky and doesn’t emphasize lip lines. On me this color looks a bit more darker but it can definitely be worn my light skin. I do feel though it would look more natural on medium skin tones. It is just a matte or preferences I guess. I liked how comfortable it felt throughout the wear and didn’t gave me that dryness feel at all. 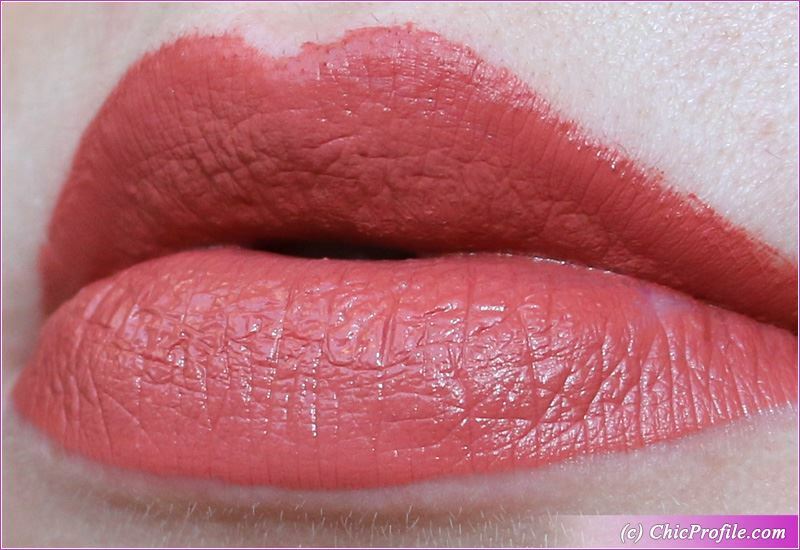 I have to admit that is quite hard for me to find a matte lipstick that would bring so much pigmentation and intensity with such a forgiving formula. I’ll add this one to my favorites now as I also get around six hours wear with it. 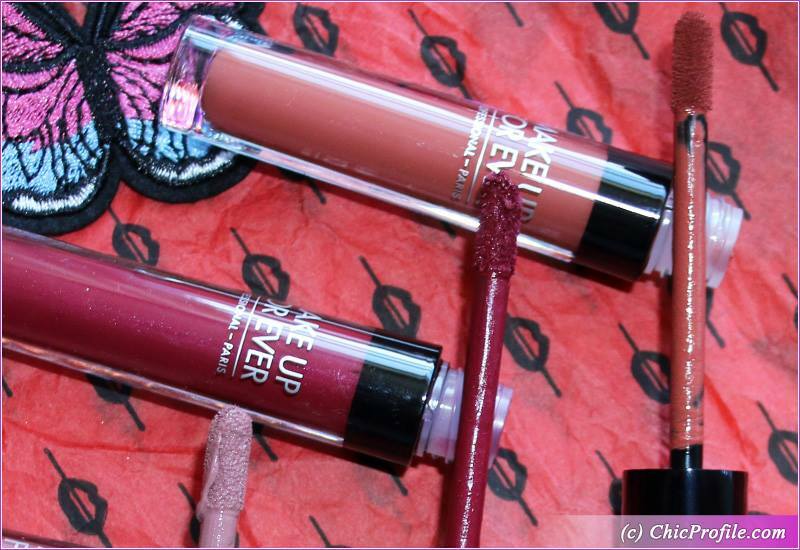 Make Up For Ever Raspberry (207) Artist Liquid Matte is a medium-dark berry with cool undertones and a matte finish. 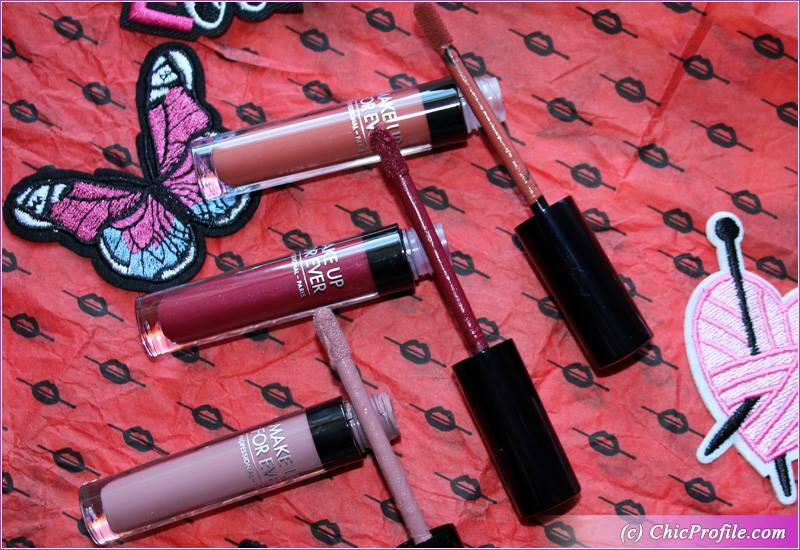 It has a good color coverage that applies matte on the lips. This shade seemed to emphasize my lips a bit. 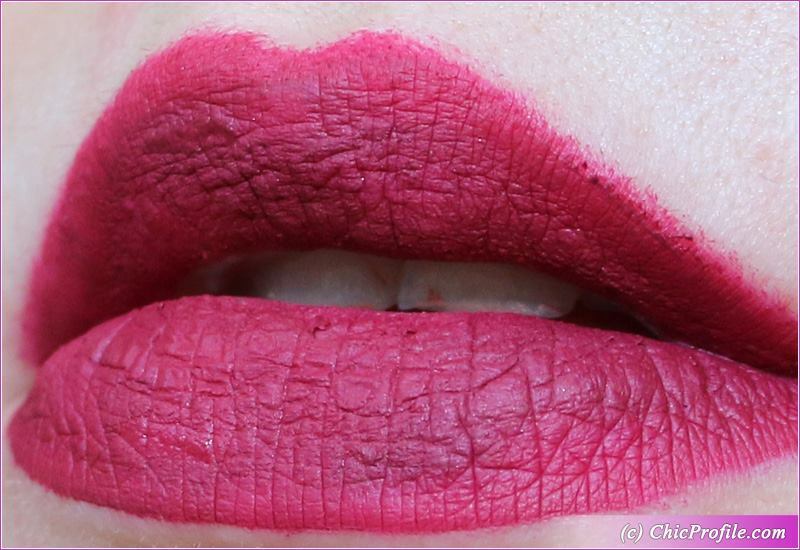 Please consider that I took the lip swatches photos for this one after trying over 15 lipsticks that day. I made sure to moisturize my lips prior using this shade but the formula didn’t feel dry at all. It’s a color that will brighten up any look and is more appropriate for evening or fall and winter season. I had a bit over six hour wear. Make Up For Ever Rust (301) Artist Liquid Matte is a medium-dark, peachy-beige with neutral undertones and a matte finish. 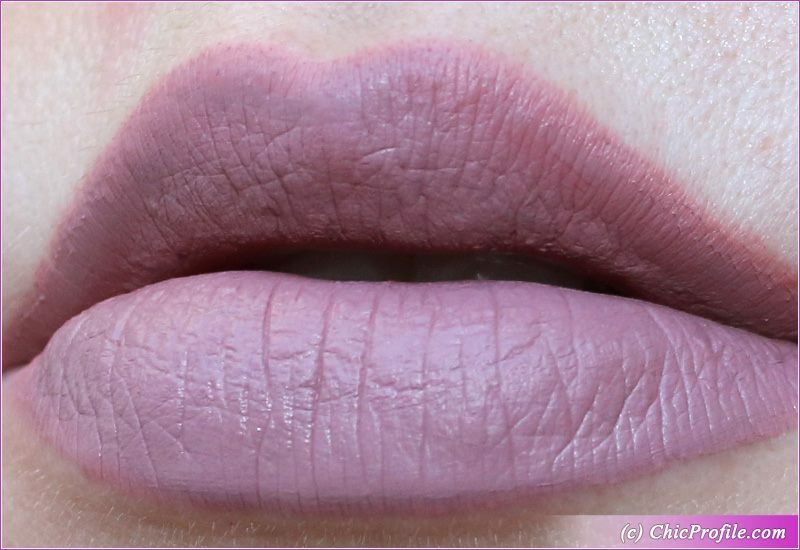 This shade is quite unique and something that I don’t think I have in my collection. 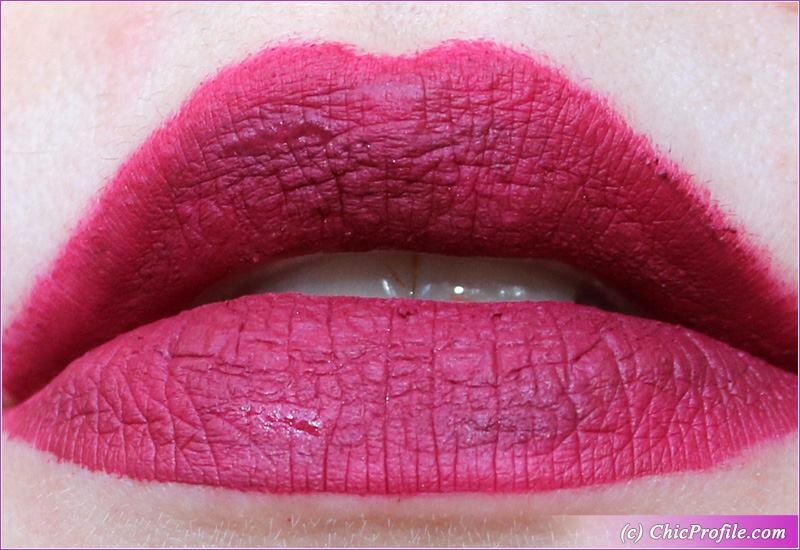 I admit that is not a shade that I would normally wear as I’m more into pink and plums. The pigmentation was on point, rich color payoff and full opacity in one swipe. The same thin and super comfortable formula that didn’t sink into lip lines. It’s a shade that you can wear anytime, especially at the office. On me this shade lasted for an average six hours without leaving a stain. Swiss Line Skincare Brand available Now in Romania!